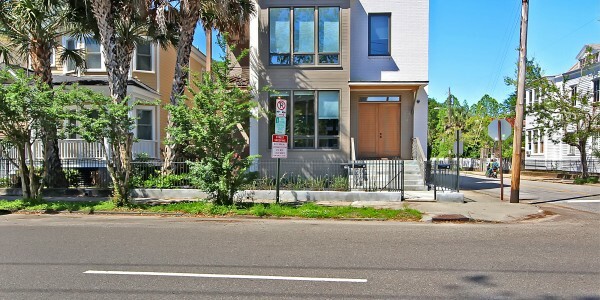 15 Smith Street Lofts, units C & D are part of a newly constructed development one block from Colonial Lake; ½ mile to the College of Charleston and less than 1 mile to the MUSC/medical district. Both apartments offer 3 bedrooms; one which has a private en-suite bathroom, while the remaining bedrooms share a large and convenient bathroom. Expansive living/kitchen areas benefit from large windows, providing a bright living environment. There is a pantry closet in the kitchen as well as a large island bar seating area. Each bedroom provides ample room for a queen bed, desk, dresser and has a built in closet space. The mechanical systems consist of 16 SEER Bryant cooling/heating units to provide high efficiency and a lowered utility cost. The water heaters are a tankless Rinnai water heaters, which further decreases utility costs when compared to traditional water heating systems, while providing instantaneous hot water upon demand.